Why Opera removed the Privacy and Security settings from the linux versions? What is the real deal??? 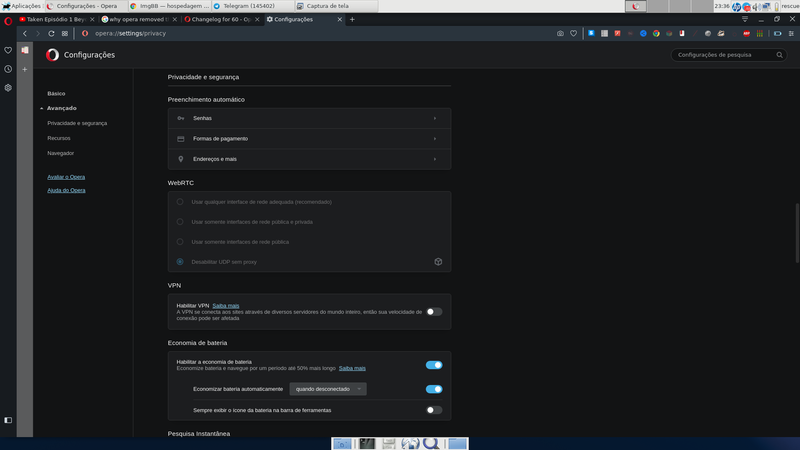 I got surprised today, after I upgrade opera-beta for fedora and when I went to check my privacy and settings options, puff! It was gone!!!! I do not really get opera's developer team point of view about removing that! Now I got completly "naked" because a "genius" decided to remove the Privacy and Security settings from the linux version!!! Like you realized in another post, it was a bug and it was fixed. As I replied.. it is not fixed. Where are the other privacy and security settings options????? Because there was no beta build released after the fix. They kind of "fast tracked" Opera 60 to Stable, while 61 is still Developer. Both Stable and Developer should be fixed (I know Developer is as I am posting from it), but until 61 goes to Beta you'll need to use either Stable or Developer.